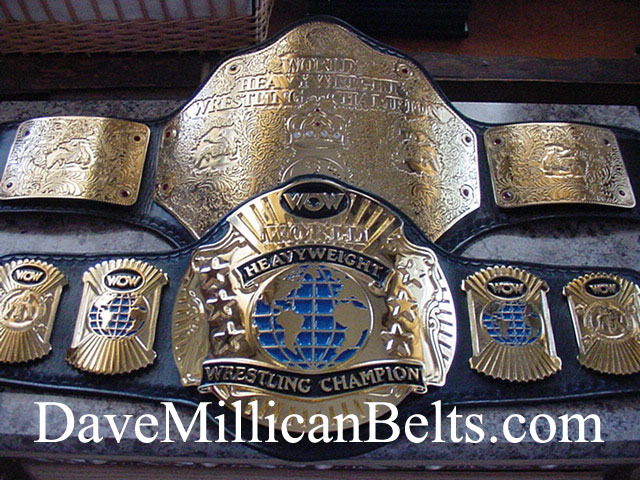 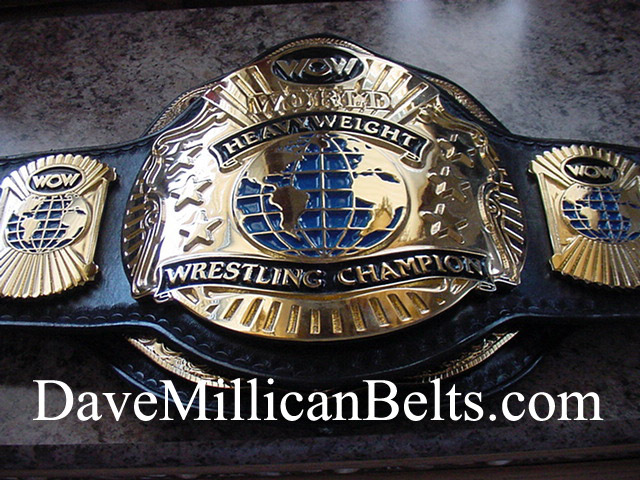 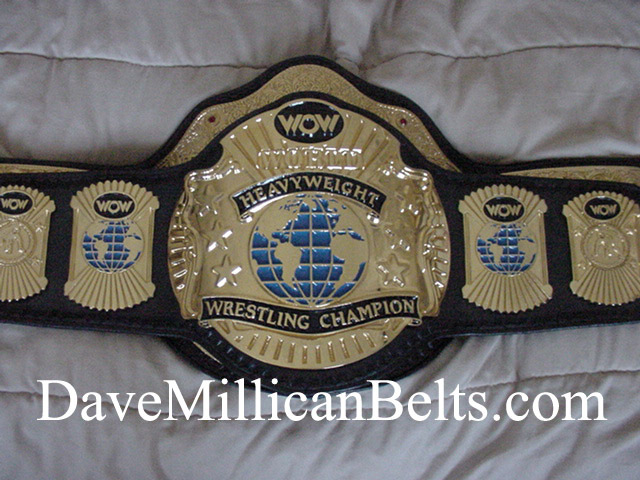 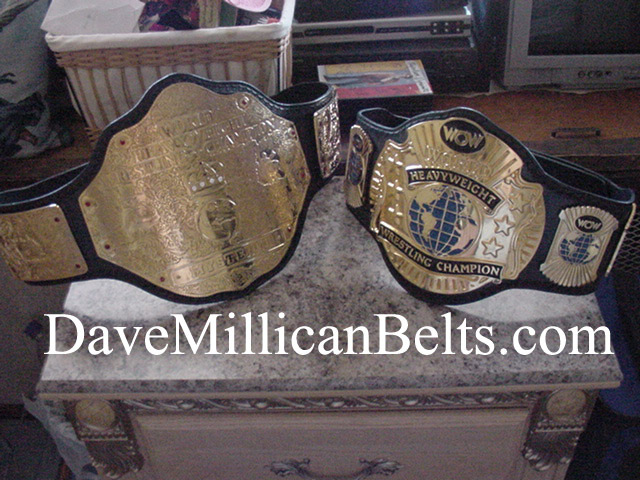 Here we have the Big Gold (M-Gold V.2) and the WCW World. 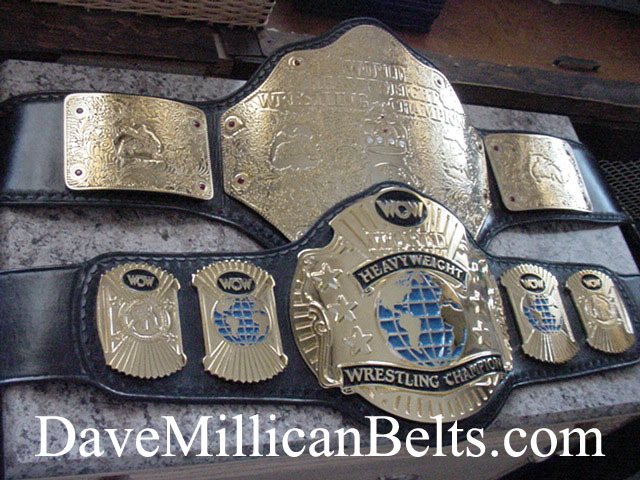 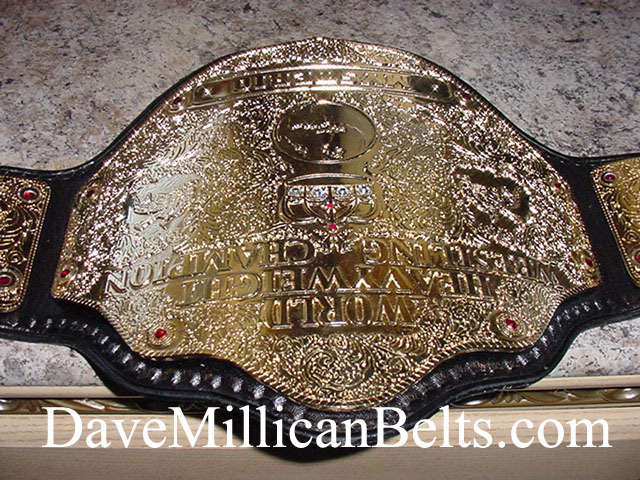 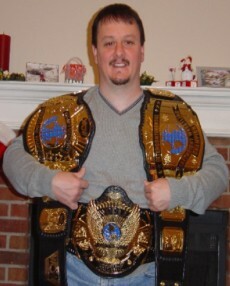 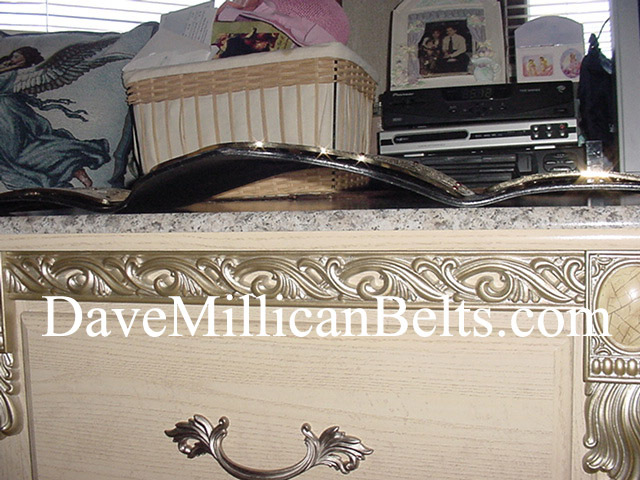 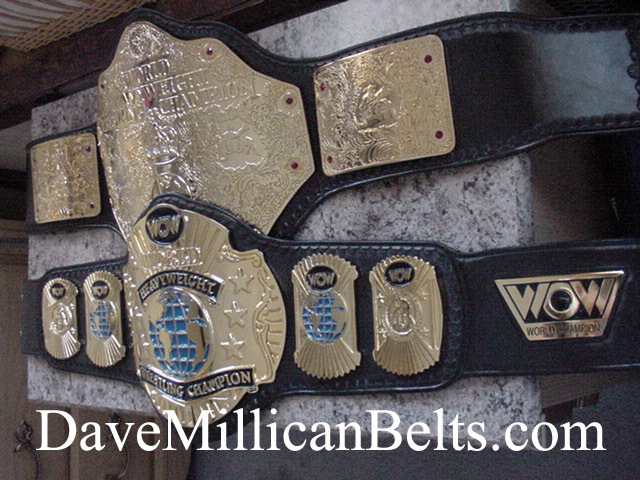 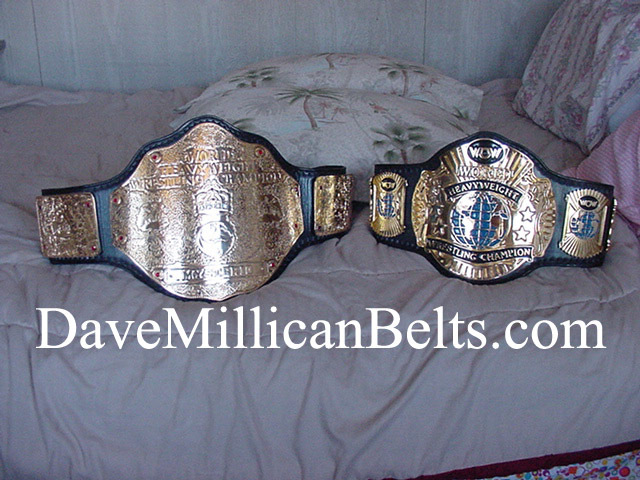 Both these championships served as world titles for World Championship Wrestling. 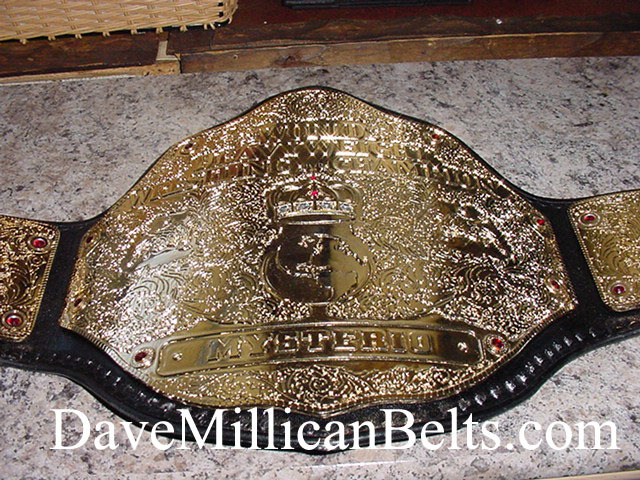 The Big Gold served as the NWA and WCW World title until Ric Flair left the company and appeared on WWF television with it in late 1991. 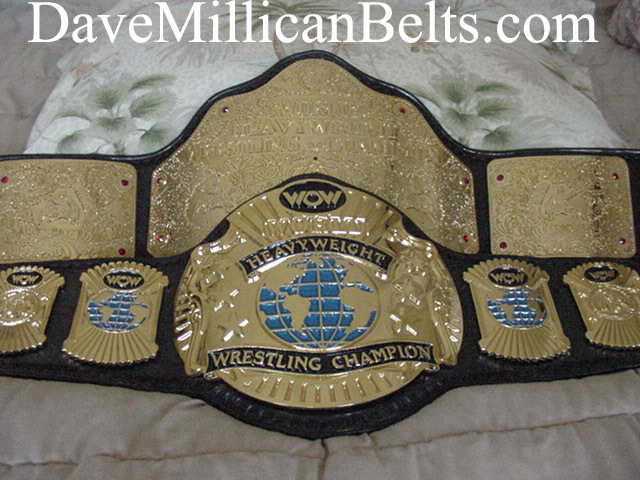 WCW then had to get a new world championship and the WCW World was created for the battle between Luger vs Windham at The Great American Bash 91.